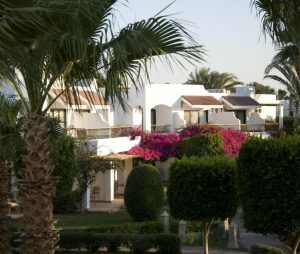 The Lotus Bay Hotel complex lies on a magnificent sandy beach, about 5 km north of Safaga. Constructed after the Spanish-Moorish style it is set in a gorgeous garden. All inclusive or half board, Lavish hotel complex with double-story buildings, Private sandy beach, Award winning Diving Resort. The spacious rooms all have a balcony or patio, shower and toilet, air condition, TV and a phone. 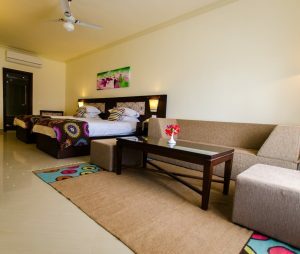 Some rooms can be connected into big suites, ideal for families or groups. NEW! Deluxe rooms available! The stunning hotel complex with a main building, several double-story buildings with 220 rooms are spread out over the park like garden. Lobby, reception, restaurant, three snack bars, pub, beautiful garden with large fresh water pool and separate children’s pool, beach umbrellas with sun loungers and a pool bar where you can enjoy the sea view with a cocktail. You can choose between half board or all inclusive. Half board includes buffet style breakfast and dinner. All inclusive includes breakfast, lunch and dinner in the main restaurant, snacks, tea, coffee and cake in the afternoon at the pool bar as well as drinks (also alcoholic drinks) in all bars and restaurants until 12pm. The varying meals are always freshly prepared. Barkuda Diving Center, surf school, Aqua Center, kid’s playground, billiard table, squash and tennis court are all in the hotel area. 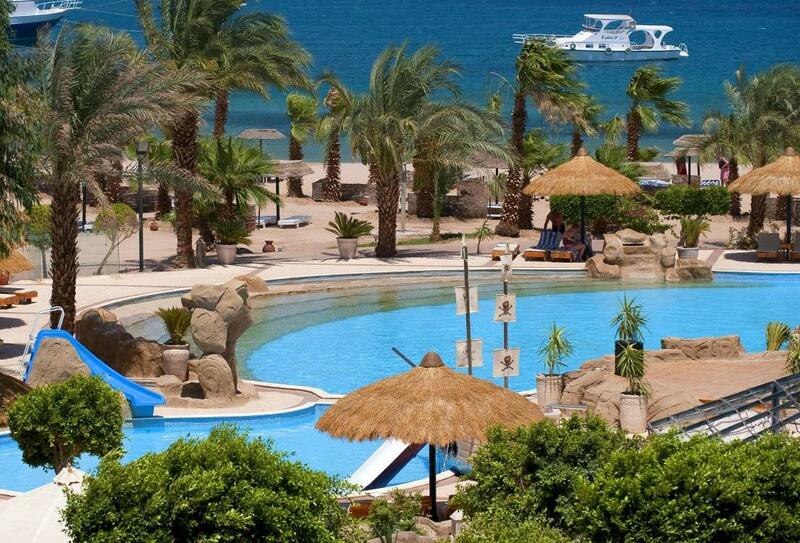 Also…we can organize trips from Safaga to Hurghada, Luxor or Cairo and Jeep-Safaris. The above rates are HALF-BORD, including breakfast & dinner buffets, service charges and all taxes. The above rates are per person, per night, . The above prices are current and subject to change. All INCLUSIVE SUPPLEMENT (AI) EURO 10,- p.p. Gala dinner Supplement on X Mas (Compulsory) 24.12.2015 EURO 40,- p.p. Gala dinner Supplement on New Year (Compulsory) 31.12.2015 EURO 50,- p.p.